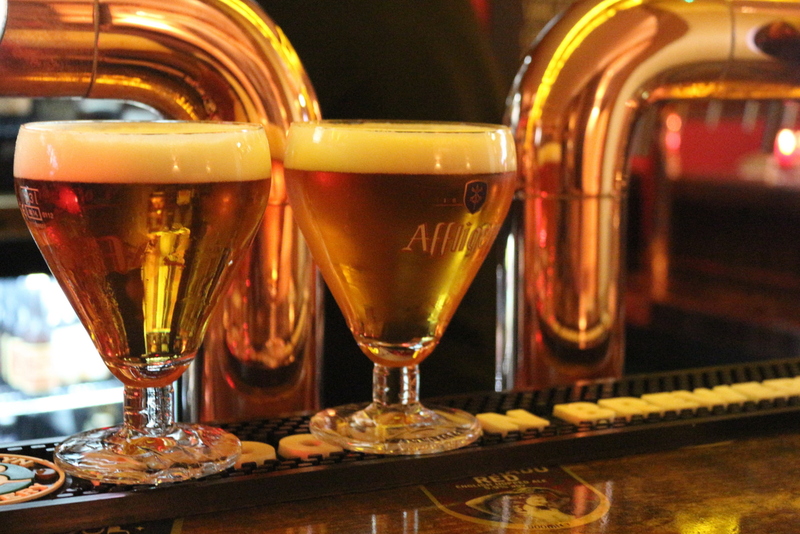 Are you a fan of Dubbel, Tripel and Blonde beers from Belgium? 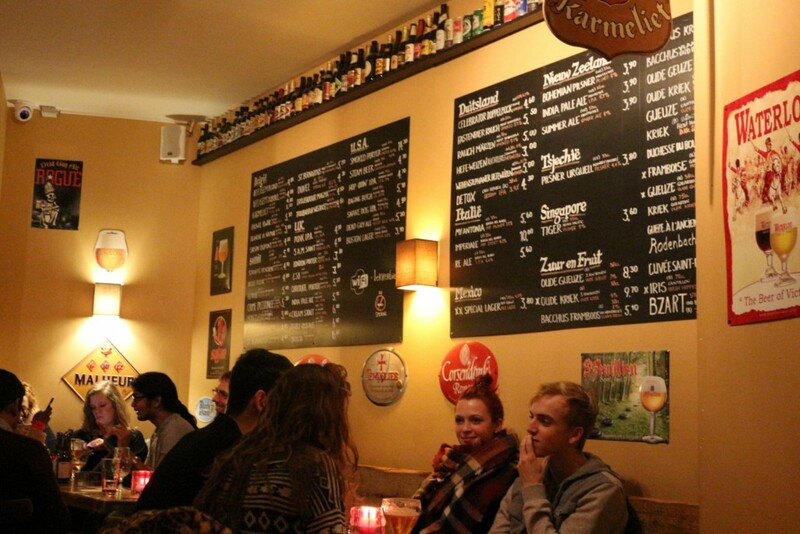 Visit one of our favorite Belgian beer bars in Amsterdam where you can find Westmalle, Floreffe, Chimay and Maredsous. Cozy and simple at Gollem near the Amstel. Gollem is one of the original Belgian biercafes in Amsterdam and has four different locations around the city, so making a stop in here is always convenient. The first location located in a tiny alley is probably the most charming, but we also love the branches in De Pijp and near the Amstel. On the Overtoom there is a larger location that also serves hearty Belgian food. Each Gollem has its own vibe and felling, so why not visit them all! Cafe Belgique is always cozy. 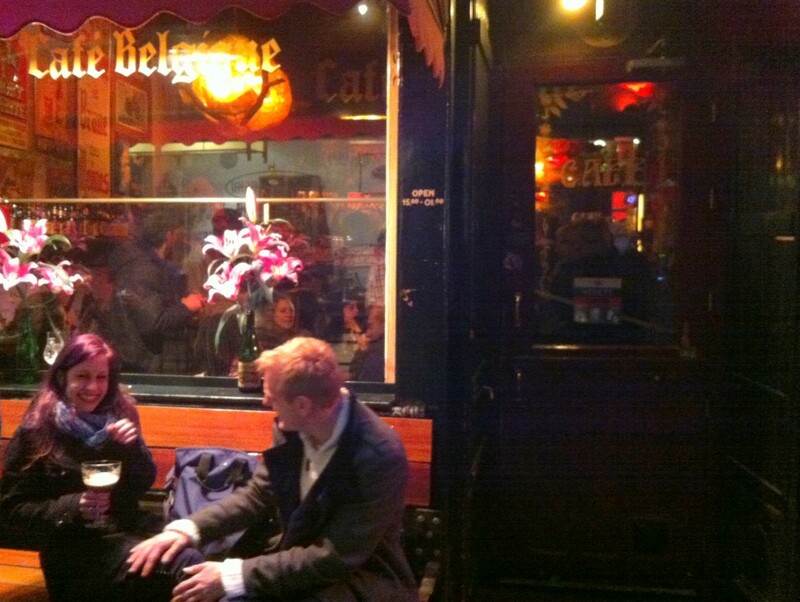 Cafe Belgique is a tiny beer bar in a small alley in Amsterdam’s center. The atmospheric bar has flickering candles and a good selection of around 50 Belgian brews on tap and in bottle. It’s a popular place to stop after a day or shopping or sightseeing and is super cozy on a cold afternoon. 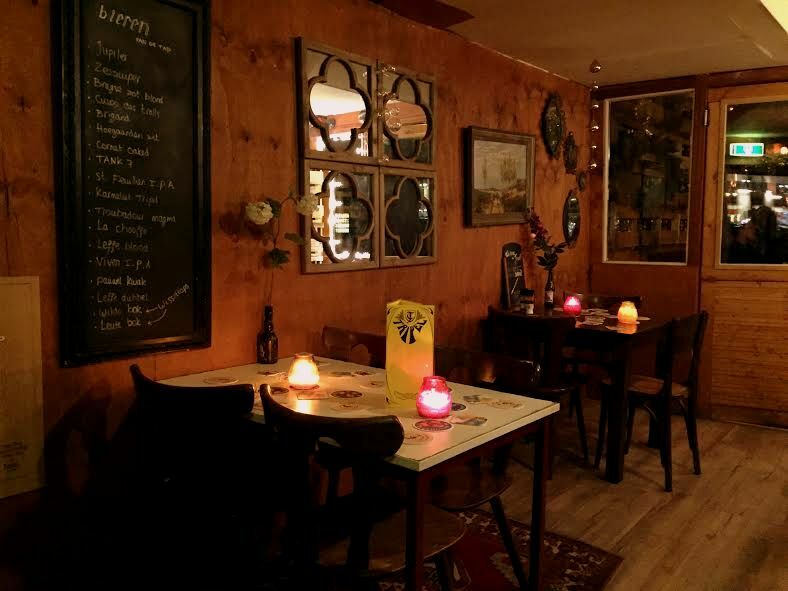 If you like small cozy bars, be sure to check out these favorites in Amsterdam. The famous Brussels beer bar has arrived in Amsterdam as well. They have more than 700 beers in stock from all over the world but many many many Belgian beers of course. There huge menu means they probably have that favorite Trappist beer you have been wanting to sample. Delirium serves pub food in addition to beer, try the croquettes. 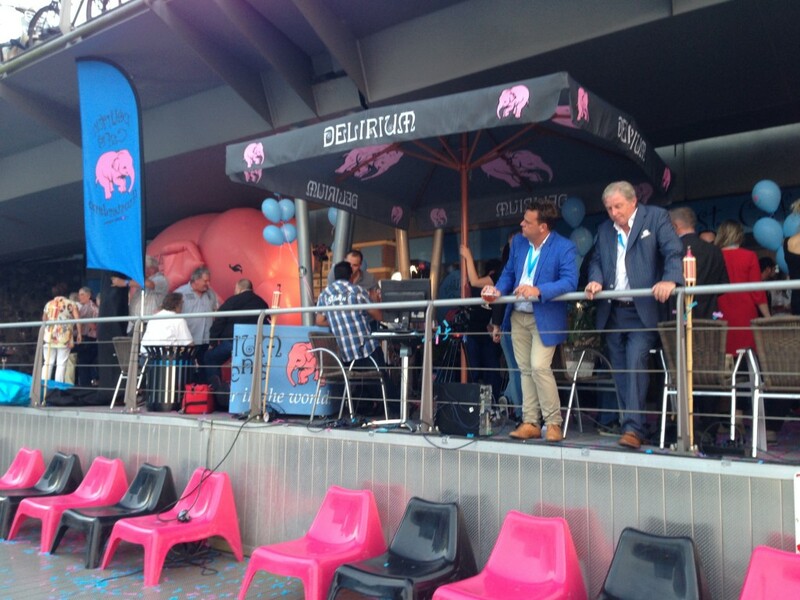 Delirium can be a bit difficult to locate, it is under the overpass along the IJ to the east of Amsterdam’s center, near the Bimhuis. Go down a set of stairs next to the road and you’ll find the large cafe tucked away on the waterside. You can also get there by boat! And don’t miss Little Delirium at Central Station as well. A nice neighborhood bar in de Pijp, Dopey’s has an excellent Belgian beer selection. Did you know this bar has been here for around 40 years? They have a wide range of Belgian beers in addition to local Dutch beers and international brews. Twenty-two taps means there is a lot to choose from. 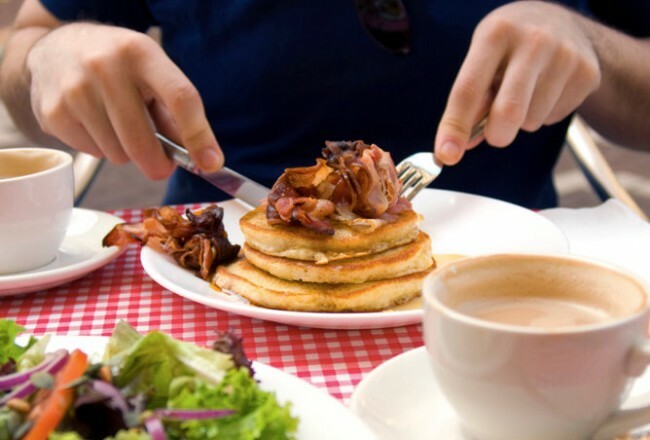 Dopey’s also has food, so you won’t go hungry here. 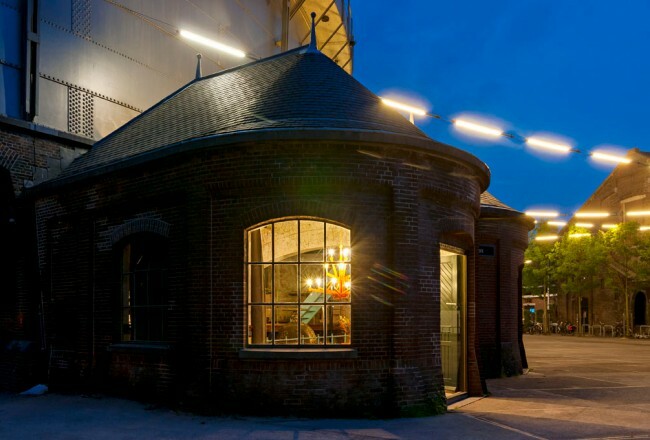 Or head into de Pijp for any type of cuisine you might desire. A fun and friendly Belgian beer bar near Leidseplein just behind Melkweg, De Zotte is small and often crowded with beer lovers. The beer selection is excellent and they serve hearty food as well. Try the ribs and the Trappist cheese plate. One of my friends likes to come here and just choose which beer he will order based on which glass looks the most interesting at the moment. They have rotating taps and many beers in bottle. If you plan to have dinner try to make a reservation for a table in advance. One of the newer Belgian biercafes in town, Tripel feels like it has been here for ages. Tripel is spacious and moodily dark inside, making it the perfect place to hideaway with your buddies and some beers. Of course there is also good food to help counteract the effects of too many strong Belgian brews, and on Mondays and Tuesdays you can even get your second meal free. Cheap date night, anyone? Lots of Belgian beers on tap and in the bottle at this biercafe right in the heart of things on the Spui. The story behind the name of this restaurant is funny. Apparently there was an organ grinder with a monkey who was performing daily at the Spui. After the organ grinder’s untimely death the monkey went back to live on the Spui, but after being unfortunately harassed by stupid people, the monkey took to the rooftops and spent two years throwing things at people passing by on the streets below. There’s more to the story and you can read it here. This is a great tale to tell your friends over a few Belgian beers at the Aap. You’ll find favorites like St. Bernardus Abt 12 and Westmalle Dubbel on tap as well as a terrific selection in bottle. Food too! Want to get your hands on a few Belgian beers to drink in the park or on a boat? You can! Head to De Bierkoning, one of Amsterdam’s best little beer shops and a great place to find Belgian brews and the special glasses to serve them. In fact the owners of this shop organize the local celebration of the annual Cantillion Zwanze Day, don’t miss that! Would you like to have Belgian food? Check out Lieve Restaurant or Fier. 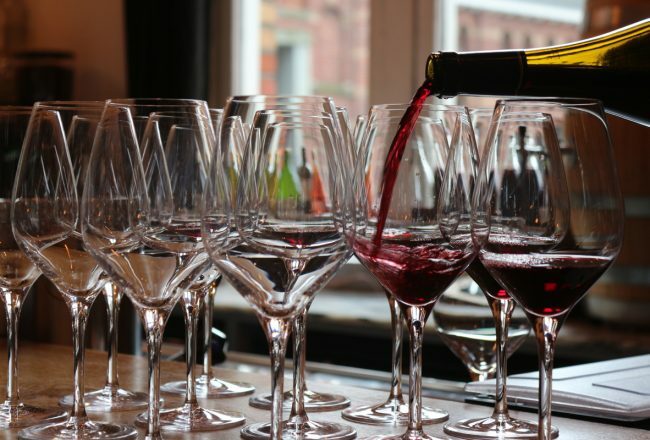 Be sure to explore some of our other favorite specialty beer bars in Amsterdam including some local breweries like Oedipus, Butcher’s Tears, De Prael and Brouwerij ‘t IJ. You’ll find them all on the free PDF map. You can print the double-sided map or use it on your smartphone or tablet. 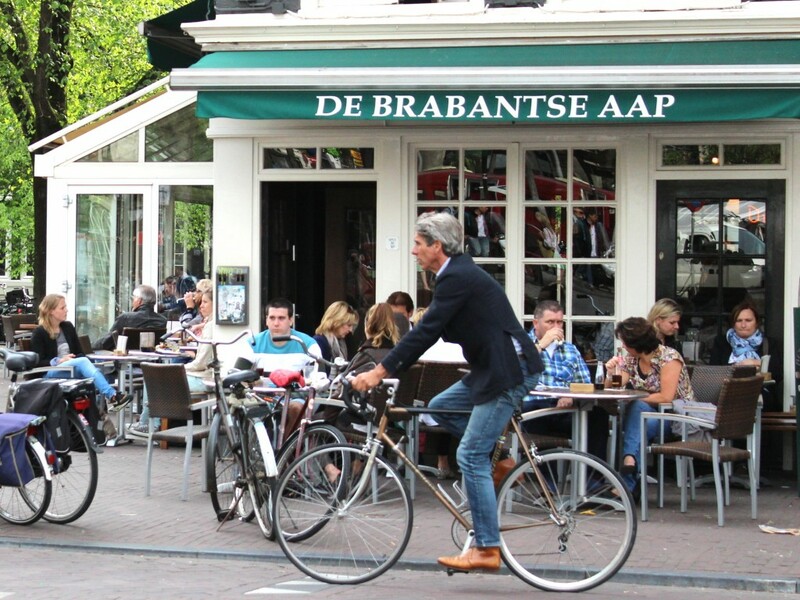 It has all the breweries, beer bars and specialty beer shops in Amsterdam!